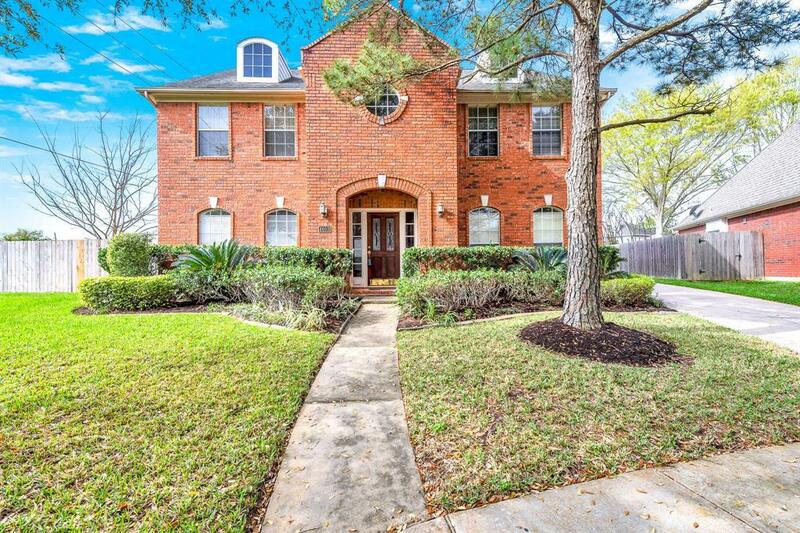 Two-story brick home set on a cul-de-sac in the lovely subdivision of Colony Meadows is a stunner! Open floor plan through large family room into breakfast area and kitchen. Elegant dining room with wainscotting and a private study/library off either side of main entrance. Wood flooring, tile and carpet throughout home. 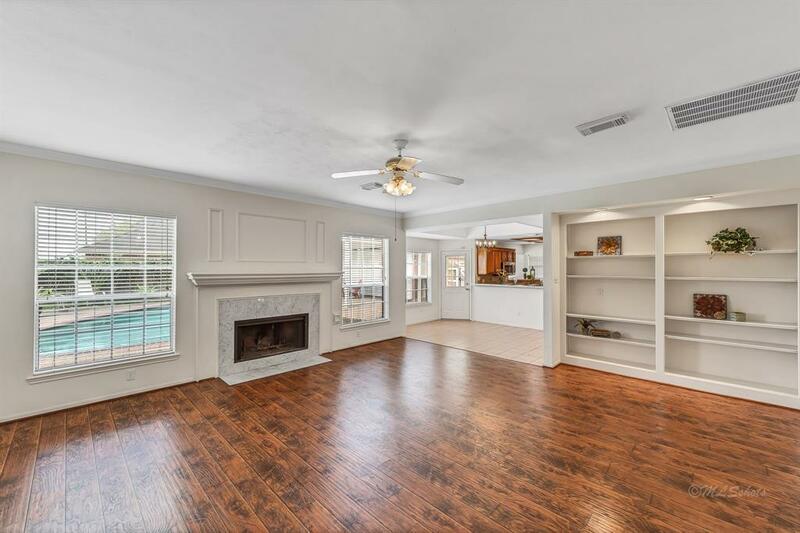 Spacious living room has built-in shelves, large windows and fireplace with tile accents. Plenty of room for family and friends to gather and spend time together. Kitchen has stainless-steel appliances and plenty of upper and lower cabinet storage. Upstairs bedrooms all have plush carpeting. Master bedroom is gorgeous and can accomodate a sitting area easily. Master bathroom has double sinks, glass-enclosed shower and whirlpool tub ideal for pampering yourself after a busy day. 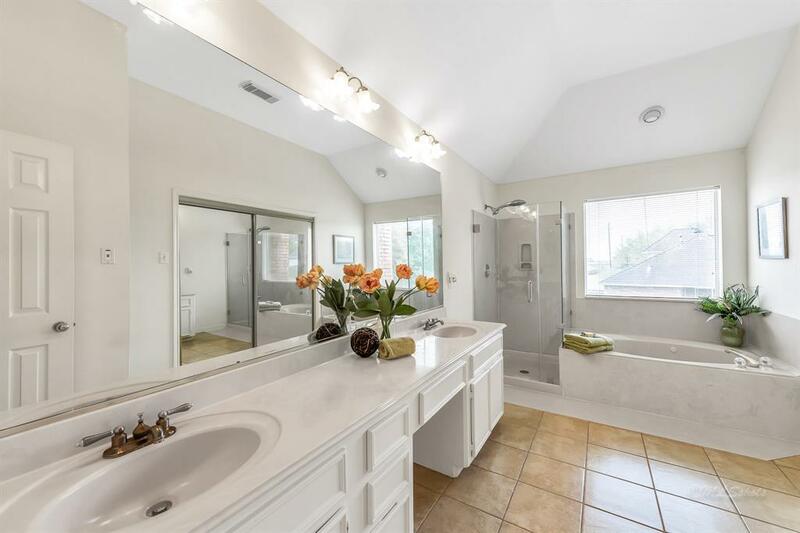 Upstairs bathroom has tub/shower combo and double sinks. 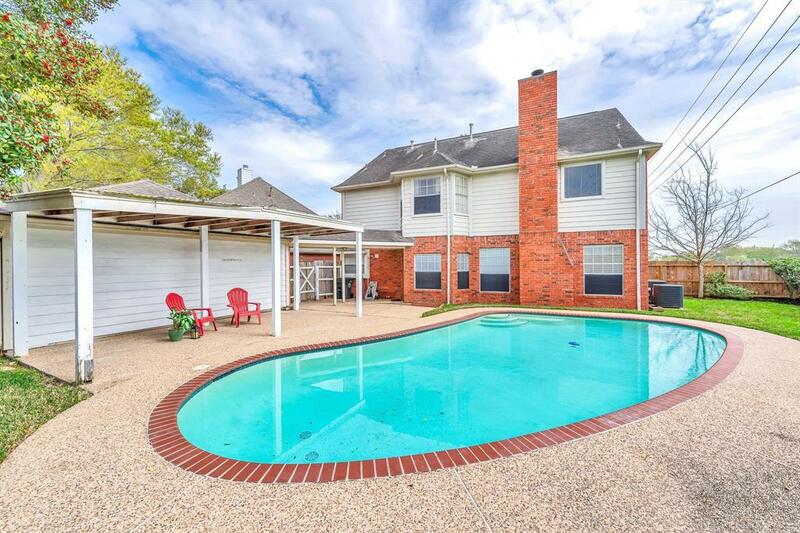 Backyard has a covered path from garage to backdoor of home, a pergola patio and a beautiful in-ground swimming pool. Come view today!